The business exit rate is expected to rise rapidly over the next decade as the population grows and demographics shift. Within the next five to 10 years, the “Baby Boomer” generation will be transitioning out of the work force and into retirement, leaving a void for small businesses. Loss of these small businesses will diminish local tax bases, create empty storefronts and job losses in rural communities. Entrepreneurs are needed in small communities to keep them active and thriving. 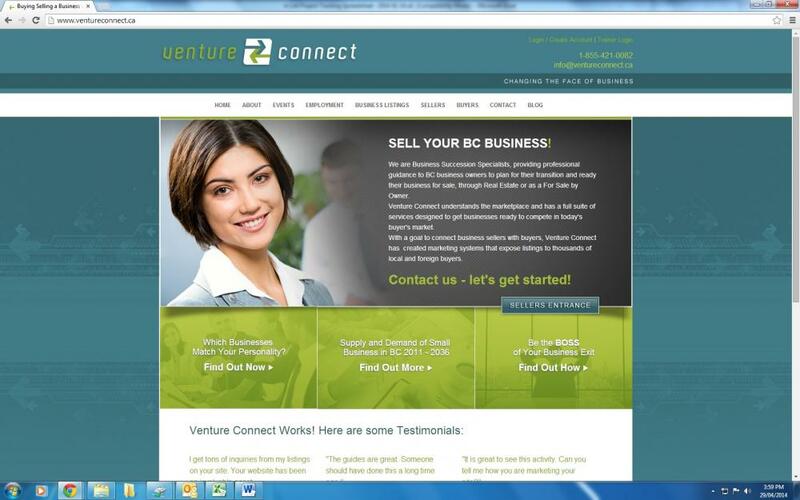 This problem was addressed through Venture Connect: a system that works with business owners and buyers to assist them in transitioning to either retirement or business ownership. Exiting business owners are helped to sell with proper business appraisal, review and upgrading of business processes and assisting the business in becoming sales-ready. An online web record of businesses matches retirees with new entrepreneurs. In addition to existing programs, training, support and small business loans are provided to those needing assistance purchasing existing businesses. Completed in 2012, benefits of this project include maintaining and creating employment in a more stable small business atmosphere where issues caused by the demographic shift of retiring Baby Boomer have been mitigated. Additional access to regional business information was provided to inbound investors and the coastal region is further marketed to potential business owners.